As a rally competitor, we are sometimes faced with fellow competitors in need of first aid following an incident, but would you be prepared? Do you feel that you may benefit from some special training related to our sport? Your answer may be First Aid Services Training 4U (FAST 4U), who provide training to the general public, including motorsport enthusiasts. 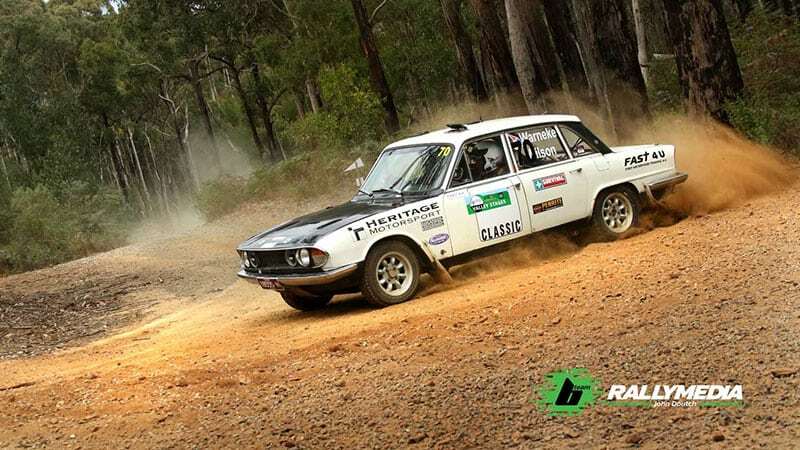 Historic Rally Association member and long-time rally competitor, Martin Warneke, operates this first aid training business based in Point Lonsdale in Victoria, providing training to the general public. Following discussions with rally and safety experts in Australia and overseas, Martin has developed a first aid training workshop course that is specifically designed to develop rally competitors’ and officials’ first aid skills. Martin believes it is important for all rally competitors and officials to learn and know first aid. “I am offering these workshops to other competitors and officials as a way of putting something back into the sport that I have enjoyed for almost 40 years,” he said. “Some people do not have the time to commit to a full first aid course. My First Aid for Rally Competitors workshop can be delivered during one evening. “Rallying often takes competitors and officials a long distance from medical facilities. Even with FIV vehicles it may take some time to get full medical assistance to an injured crew. Leave them or Move them? While these workshops include elements from an industry-standard, certified HLTAID003 course, they are non-certified training and therefore no assessment is required. Participants will receive an attendance certificate on completion. Martin can present this workshop to members of Victorian car clubs free of charge*. If you are interested in arranging one of these important workshops for members of your club, please call Martin on 0409 251 523, or via email at admin@fast4u.com.au.